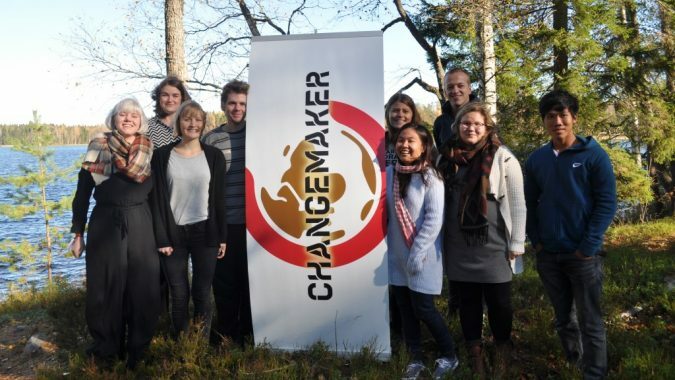 Changemaker was originally established in 1992 as a youth network of Norwegian Church Aid. With the years the brilliant idea of creative and concrete advocacy performed by youth spread to many countries. Nowadays Changemaker Youth Network works for global justice in Cambodia, Denmark, Finland, Iceland, Kenya, Norway and Pakistan. All national networks are more or less connected to various Church Aid organisations. Since 2014 the representatives of the networks has been meeting face to face every two years. These international meetings are the forum for discussion and development of cooperation, but not for making decision over the national networks. This is because it is important to let the local youth decide the topics and activities. In the international meetings the networks have, however, developed Guidelines for the International Changemaker Network to advice national networks. This document describes Changemaker organizationally and ideologically. It also defines some fundamental principles all actions should base on. In addition to the face to face meetings, the International Changemaker Network organises regularly Skype meetings. The online meetings are held approximately four times per year. These meetings are especially a platform for sharing current issues and learning from each other as well as for developing advocacy cooperation. Different national Changemaker Youth Networks also cooperate by inviting and sending participants to each other’s training events. New groups which would like to join International Changemaker Network (in countries where Changemaker does not exist) and start using the logo, need to agree on the guidelines and fill in the Application Form for Membership in the International Changemaker Network. The application should be send to Changemaker Norway. Applications will be reviewed and discussed in each national Changemaker Youth Network and then decided upon in the next possible online meeting of the International Changemaker Network. In case you are interested to learn more about Changemaker activities in Finland or about the International Changemaker Network, please contact either the Vice-Chairperson and Responsible for International Affairs Hanna Ylikangas (hanna.ylikangas@changemaker.fi) or Changemaker Coordinator Katariina Väisänen (katariina.vaisanen@changemaker.fi).